I love my house and my land. Yet I was planning to move earlier this year. I’d actually begun renting a homestead. I didnt have enough prims at my home, and there was no land for sale in that region. I thought I was going to have a new gaming computer and I would be building, and so ….. I decided to move. But I procrastinate greatly at these things. Because I really didn’t want to move. Because I thought that maybe I should get a new house instead of taking my existing one. In other words – lots of decisions to be made. None of the choices seemed to be the right answer. Then I noticed that Gov Linden was actually paving the road that was planned next to my property. That seemed to tip the balance a little. I rezzed a copy of my house in the new location and began to modify it a bit. Moved over all the copy items. Then one day I was standing in my room in my real house and noticed a couple outside, on my property. They were just standing there. I stood in my room looking at them, wondering what they were doing, and if I should say hello, wondering if they were looking for anything in particular. Suddenly I was pinged by the man. Ahuva Heliosense: hello. may i help you? Ahuva Heliosense smiles. thank you. which one? It turned out that LOLpande was looking at my Katohei VI picture, done by Callipygian Christensen. This is a very beautiful and interesting portrait. I learn a lot about people by how they react to this picture. 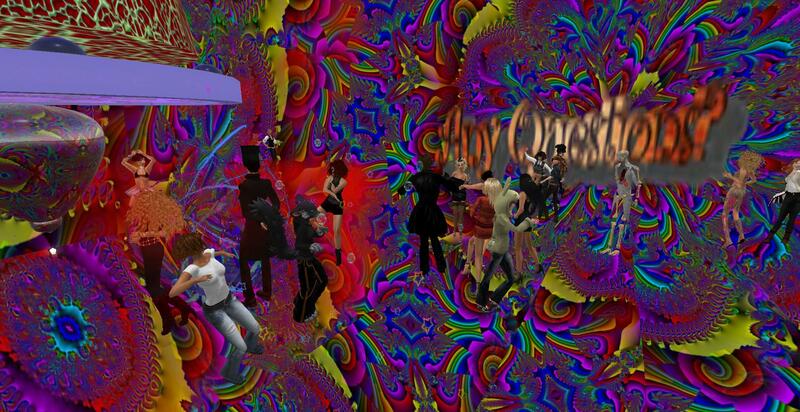 LOL and I continued to chat about art, avatars and SL. It was a lovely conversation. 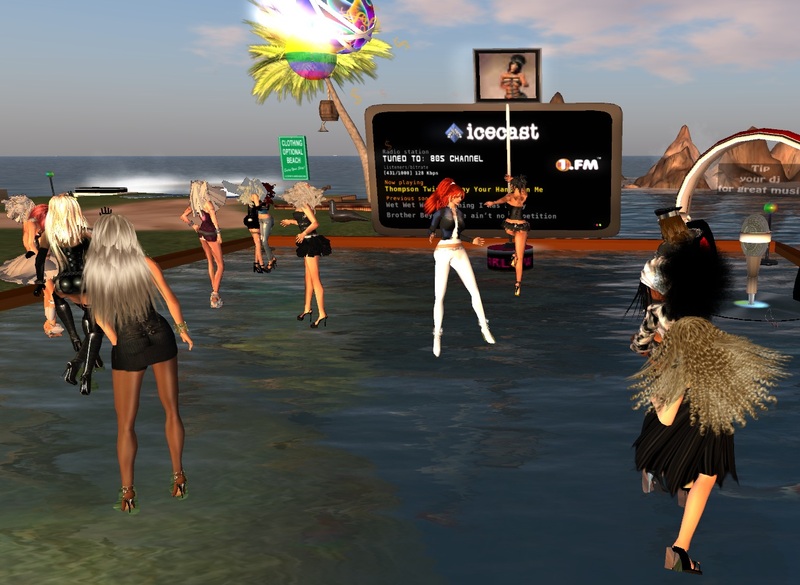 This encounter drove home to me what is so wonderful about SL and about being on the mainland. Random encounters with strangers, who become friends. People strolling by, camming around, finding objects of beauty and interest. The couple moved on, but LOLpande and I became friends. I was even more torn about leaving my home. I am totally root-bound in RL as well. It will take more than a nor’easter to uproot me. As it turned out, karma stepped in. For a variety of reasons, renting the homestead was no longer feasible. 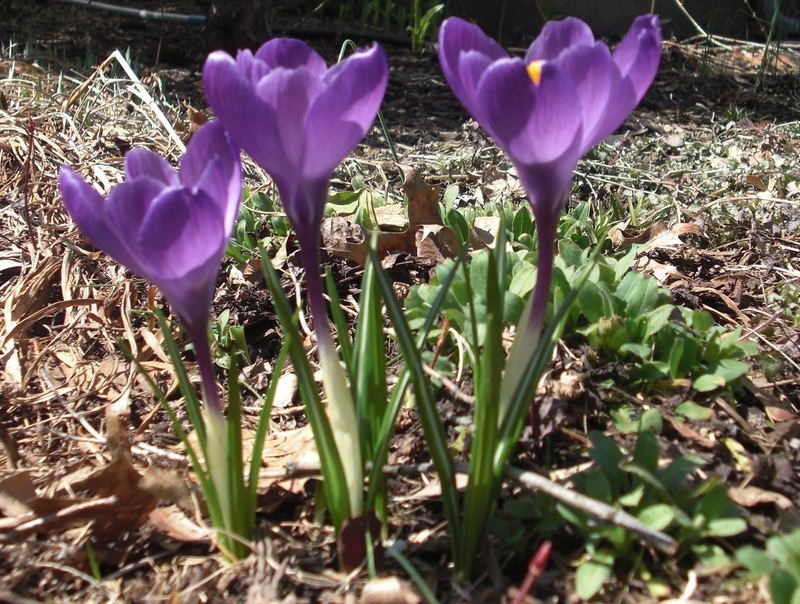 I cleaned out what I’d already moved, told Mallory, Bill and Drake that we weren’t going and settled back to prune prims. We’ve been watching the road grow. Instead of feeling intrusive, it seems exciting. I hope it brings us more friends like LOLpande. I have mentioned my friend Tez here before. He is an extremely talented builder, scripter and artist, and I am proud to be on his friends list. Tez is the curator for the IBM Exhibition sims. I’ve written about the fantastic shows that have been hosted there. Tez is also part of the IBM Sandbox, which was on the IBM 6 sim. I’ve gone there with friends to build. It is full of both people and signs to help aspiring builders. There is always something happening there. Apparently the sandbox has moved, as have the exhibition spaces. It’s too late for you to attend the grand re-opening party (sorry, I was a bit pre-occupied at the time and didn’t share that info). But you CAN still attend exhibitions and work in the sandbox. And the NEXT time there is a sandbox party I will try to remember to invite you, too! *grin* In the meantime, you can find the eye-straining photos on my flickr account. 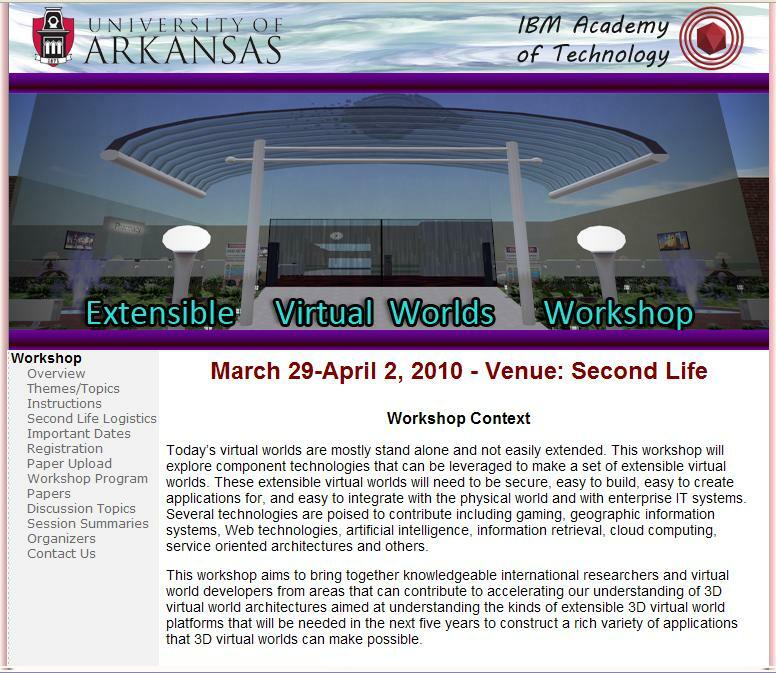 Since 2006, IBM has maintained a presence in Second Life which has included the venerable IBM 6 sandbox, a home and training ground for some of the grids most talented builders, both IBMers and non IBMers, and the IBM 2 and IBM 3 Exhibition Sims. 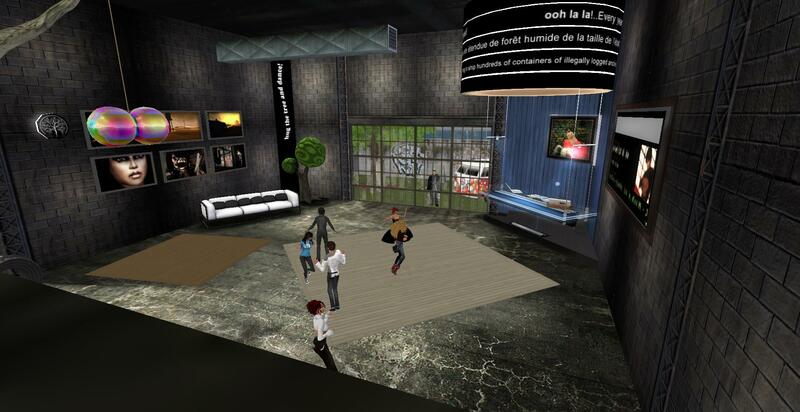 Through the operation of these areas, IBM has recognized that community building and social content creation are a key part of the value of virtual worlds. 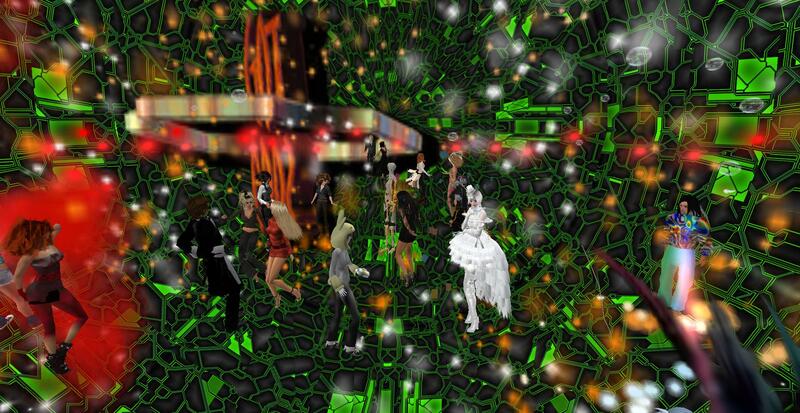 As of February 2010, the IBM Center for Social Software is pleased to take this a step further, announcing the opening of a brand new three-sim estate in Second Life, as well as a four-sim OpenSim estate on ReactionGrid, all dedicated to the production and exhibition of virtual artworks. 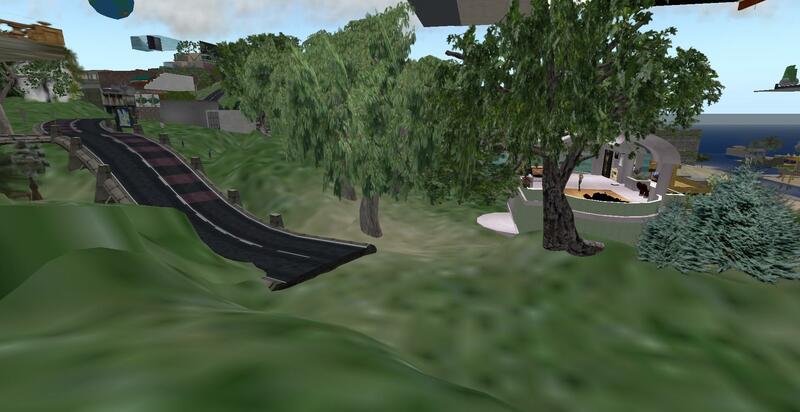 In addition to the continued operation of a public sandbox in Second Life, the IBM Exhibition Sims will feature two full class 5 sims available for large scale public art projects. The Exhibition Space believes strongly in support for an open platform that provides the archival and import/export tools that art making requires. 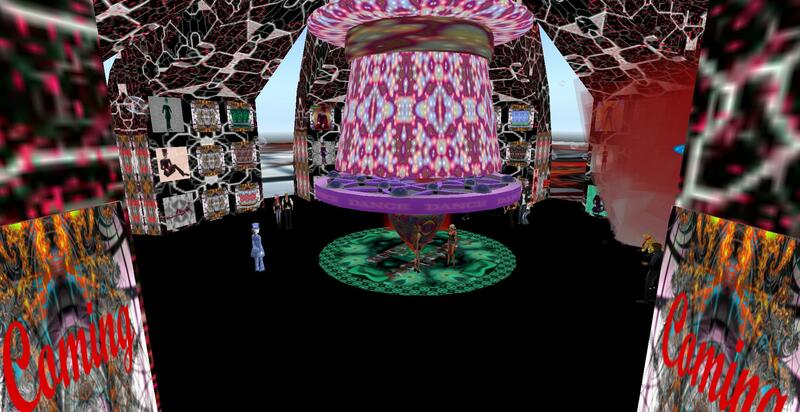 Accordingly, the Exhibition Space will also include four OpenSim based servers located on the publicly accessible ReactionGrid. Artists and virtual content creators who are interested in showcasing their work at the Exhibition Space should apply at the website address provided above. YAY!! 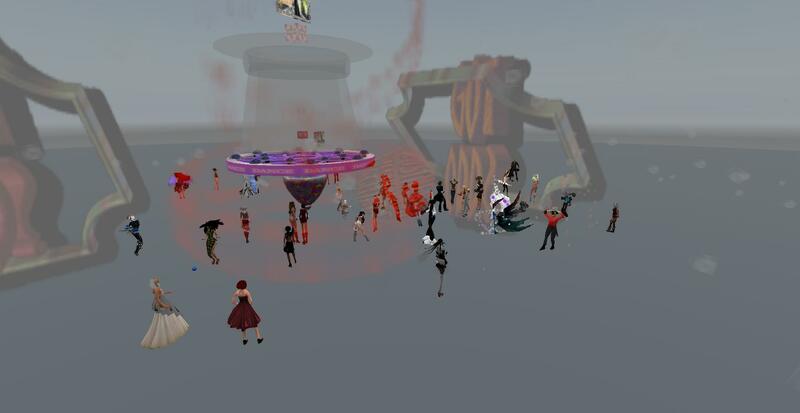 Darcey has returned to SL!!! I”m so happy. I LUUUURRVVE Darcey. *grin* Darcey is back and she is DJ’ing. Yep – she is spinning the tunes. LOL. Of course, Darcey and I have somewhat different tastes in music. Or rather – her current gig requires different artists than my usual iPod tunes. But I showed up for her first gig, and so did Oura, Jonah and LOLpande. Chestnut has been doing her 365 post – a picture a day for 365 days (notice the slacker waited til it was NOT a leap year – /me nods knowingly). She dropped by the other day to chat and Darcey dropped in too. We all took photos of ourselves and each pic was different even though we had the same subject matter. We differed in angle, distance, lighting. 🙂 People are so interesting. And I LOVE chilling with my friends. It was great, ladies – thank you! Hey. It’s still here. /me peers about, noticing a lot of dust. hmmmm. /me draws in dust. sneeze. okay, I think I remember how to do this. do something fun, take some pictures, write about it. did fun things, took the pictures. wow, forgot the writing part. /me eyes keyboard. tap. tap. ouch!! it hurt!! i may have to re-start more slowly…. I know….. tomorrow. I’ll start tomorrow. I’ll steal the information from Tez – the sandbox still exists. yeah – that’s it. and we had a party too. /me starts wiping dust off keyboard, photos, blog links. k, tomorrow. definitely tomorrow. achoo! wow – lot of dust…..